Delicious French butter cookie hand-designed into a pretty fallen leaf sprinkled with autumn sugar colors. Perfect for place settings at you autumn dinner table or a just sweet gift to send to your warm weather friends. natural pure ingredients - unbleached flour, sweet cream butter, eggs, crushed vanilla bean and extract, baked to crispy edges, slightly delicate center and shimmering with organic sugar. 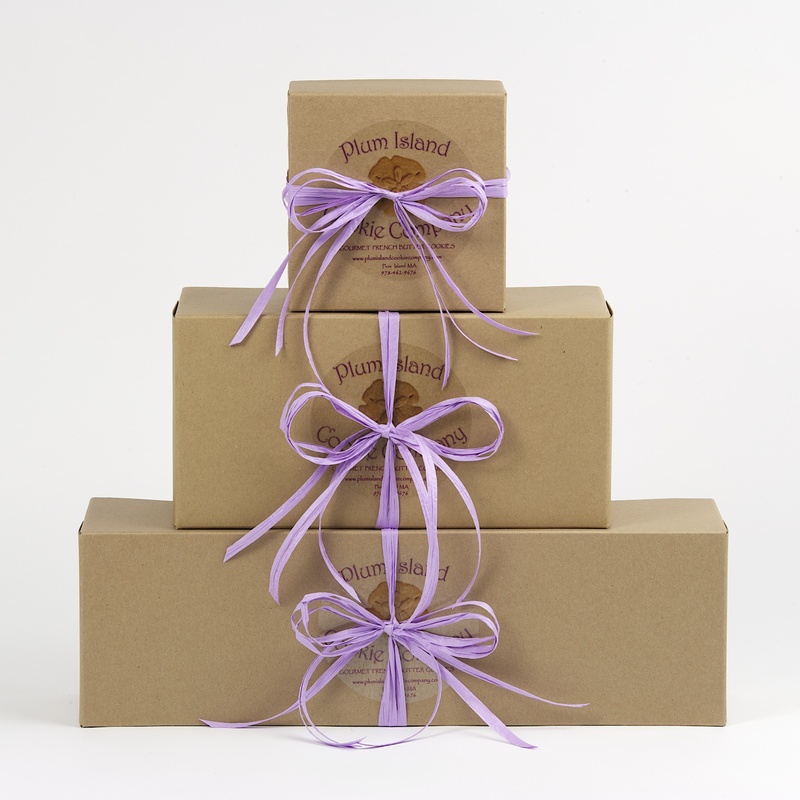 *When ordering multiple boxes please contact the bakery at 978-462-9676 or email dmari@plumislandcookiecompany.com for shipping charges.